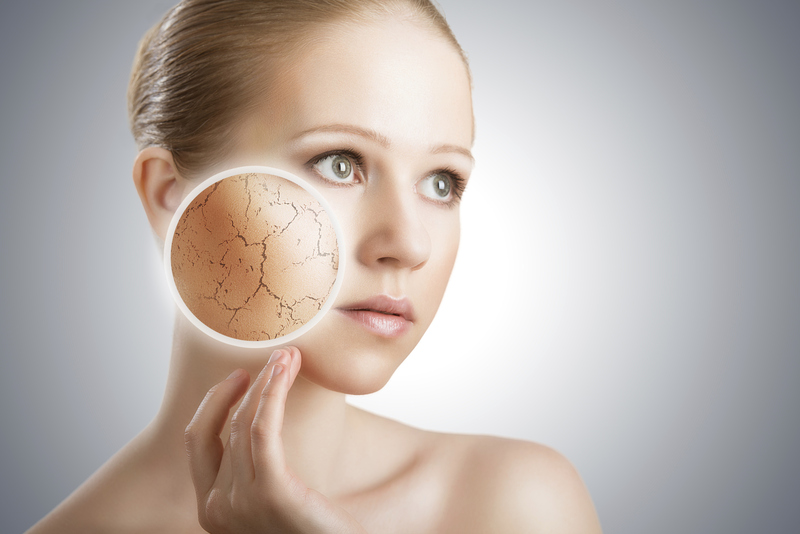 Thirsty skin...it’s one of the most aging things for your face, and also one of the easiest to fix! Having thirsty skin just means that it’s in need of more hydration and moisture. While it can be easy to confuse skin that needs more water with skin that needs more oil, one of the easiest ways to forgo this simple issue is to give the skin moisturizing oils that also hydrate the skin. While there are some other ingredients that are hydrating that aren’t oils, if you aren’t sure which one your skin truly needs, just go ahead and use a hydrating oil. We wax poetic about this private label skincare oil all the time, and while you might be tired of hearing about it we couldn’t allow ourselves to not mention it here: jojoba oil. This perfectly balancing golden oil of the desert helps to quench thirsty skin by delivering an easy to absorb array of essential fatty acids that lubricate and moisturize the skin. It also has an adaptogenic effect on the skin whereby it helps your skin produce the correct amount of oil for its needs- pretty cool! By keeping the cellular membranes properly lubricated, cellular water loss is mitigated and prevented, in turn keeping the skin hydrated and moisturized at the same time. Another thirsty skin quencher that we love, and that you may not have known about, is actually rose essential oil! Yes, this very special and concentrated petal elixir is extremely hydrating to the skin. It helps to improve the skin’s resiliency and mitigate cellular water loss, resulting in happy and plump skin cells that translate into happy and pleasantly plump looking skin. It also delivers a beautiful rosy glow that compliments its natural smoothness. Botanical hyaluronic acid is a great natural thirsty skin quencher that isn’t a plant oil. Basically what it does is go into the skin and hold up to 1000x it’s own weight in water- talk about hydration! This is an absolutely fabulous way to help prevent and combat cellular water loss on a level that is seriously huge and effective. It also pulls moisture to itself from the environment surrounding it, but it does this in a way that adjusts to the amount needed by the skin based on what is available outside of it. Private label skincare lovers use this hydrating ingredient for its quickly noticeable effects on their skin- namely a soft, dewy glow. And there you have it folks! Three of the best, most accessible thirsty skin quenchers to help your skin stay hydrated.